If you're an avid knife enthusiast, collecting interesting knives is often a fun hobby. Even for serious survivalists, knives can be fun to collect and even make! 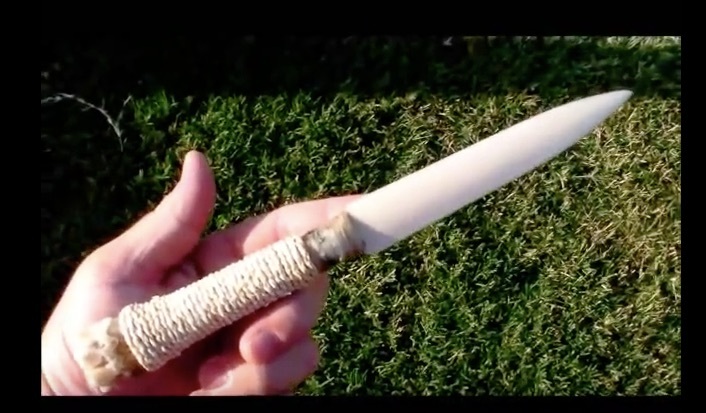 This video tutorial will show you how to make a legit Elk bone knife. With a bit of elbow grease and a few materials, you'll have a primitive Elk bone knife in your collection. What's even better is that you'll be able to use it for your survival needs. If you're in need of a new knife and would like to try and make your own at home, the Elk bone knife would be a good place to start. Watch and find out how you can make your own Elk bone knife on the next page! I had a badass one when I was young. The handle and all was carved. Dak Kosechata. Get to work son!